"Middle Earth Nursery". "Misty Mountain Coffee Barn". "Hobbiton". If you read the signs, you'd be forgiven for thinking you'd somehow got lost on the winding roads in South Africa's Eastern Cape and ended up in a Lord of the Rings novel. 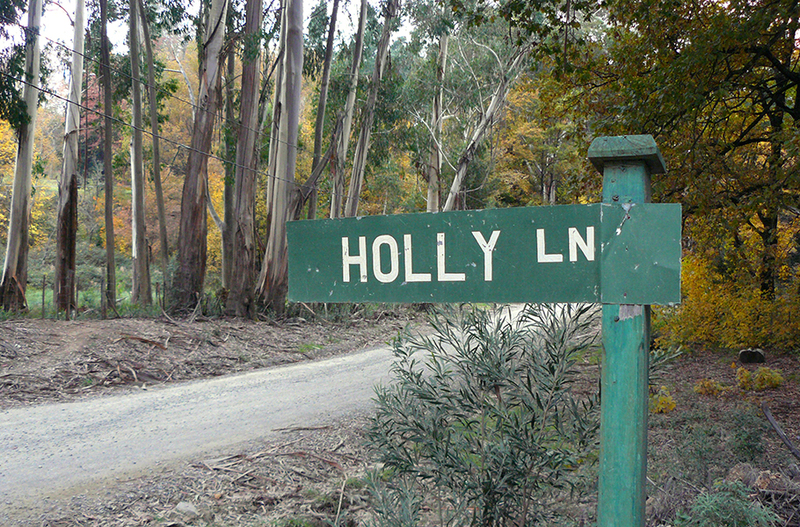 And with its seemingly endless forests, quaint village atmosphere and looming mountains, Hogsback really looks the part. This small town, high in the Amatola Mountains, is a haven for every kind of artist. From chocolatiers to jewellery makers, novelists, sculptors, photographers and painters, the three hog-shaped mountains seem to have acted as beacons and inspiration for those wanting to spend their days living creatively. It's a perfect weekend escape if you're looking for rustic charm, quiet evenings by the fireside, and days spent exploring the woodlands. In the winter, it's also one of the few spots in South Africa that is likely to be covered in snow. Hogsback offers visitors an array of beautiful hikes, regardless of your fitness level. Descend to the towering Madonna and Child waterfall, take a stroll through the Arboretum (a popular wedding venue), or accept the challenge and ascend one of the mountains themselves. If you're not up to climbing to the tallest peak, Gaika's Kop, waterfalls like 39 Steps are easily accessible too, along paths dotted with benches and picnic spots. Hog 1, 2 and 3 (seriously, that's what the mountains are called) will watch from the distance. 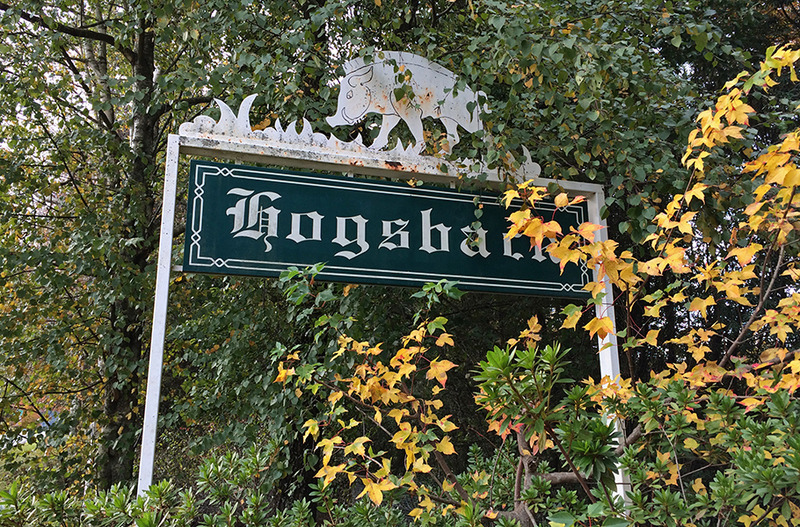 Just off Hogsback's main road (the only one in the village that is tarred), you can take a meander through a garden filled with fairy sculptures or purchase a clay hog souvenir to remember your trip. Incredible views are available everywhere from the forest floor to high hillsides, but the postcard shot is the view from The Edge. This lookout spot is a short and easy walk, offering views of the valley below, which is dotted with colourful Xhosa homesteads and snaking dust tracks. The nearby mountain retreat also offers a labyrinth, restaurant and accommodation perched on the side of the cliff. One of my favourite finds in Hogsback was Butterfly's Bistro, a cute indoor-outdoor restaurant offering meals and treats under the trees, or inside a colourful log cabin. The Bistro's lawns also host a weekly Saturday market, where the inhabitants of the village sell art, home made crafts and locally grown produce. As for the restaurant itself, there were multiple healthy, vegetarian (and even banting) meals on the menu, which went way beyond salads and the more common we'll-just-remove-the-meat-from-this-wrap-and-hey-presto-it's-veggie options I usually come across. If you're looking for a warm spot by the fire on chilly winter nights, the Lighthouse Ranch serves great comfort food like pizzas and burgers. There are vegetarian options here too, from spinach and feta pizzas to burgers made with soya meat alternatives. You can enjoy it all in a friendly shabby-chic cabin, with a cosy fireplace and outdoor fairy lights. While I was dismayed to learn that the claims that Hogsback inspired locations in J.R.R. Tolkien's The Hobbit are false (yes, the author was born in South Africa, but there's little evidence that he actually visited or knew of the town), I can see why the stories grew. With its leafy groves, stunning views and tree-covered hillsides, Hogsback really does look like it was plucked from a fantasy novel. It's South Africa's version of Middle Earth. Bonus: Travel with me to Hogsback!